Will these will hook up ok with my 27" iMac through my headphone jack? Would these work well with a turntable? That is what our son is using these speakers for ... his new turntable. Do you need a DAC to hook these up to your computer for better sound?? A DAC is not mandatory because modern computers are usually equipped with great sound chips/cards. Using a DAC for sound enhancement is more of a personal preference. Nothing is really said about what powers them, one guy said something about batteries? do they need to be plugged into a wall socket or what? They have powered subwoofer & yes need to be plugged in. Quality is most excellent! Anyone know of powered speakers with no power switch- that turn on when an audio signal is sensed? would be great w google chromecast audio..
Our B3 Sound Bar does that, it's designed to work with TVs and of course chromecasts. One online review reported a "hissing" when the speakers are on. Has anyone encountered this problem? No. Hissing may only exist when the audio input source connector is not properly insulated or when there's interference near the connection. Otherwise these stay quiet even at the highest volume. 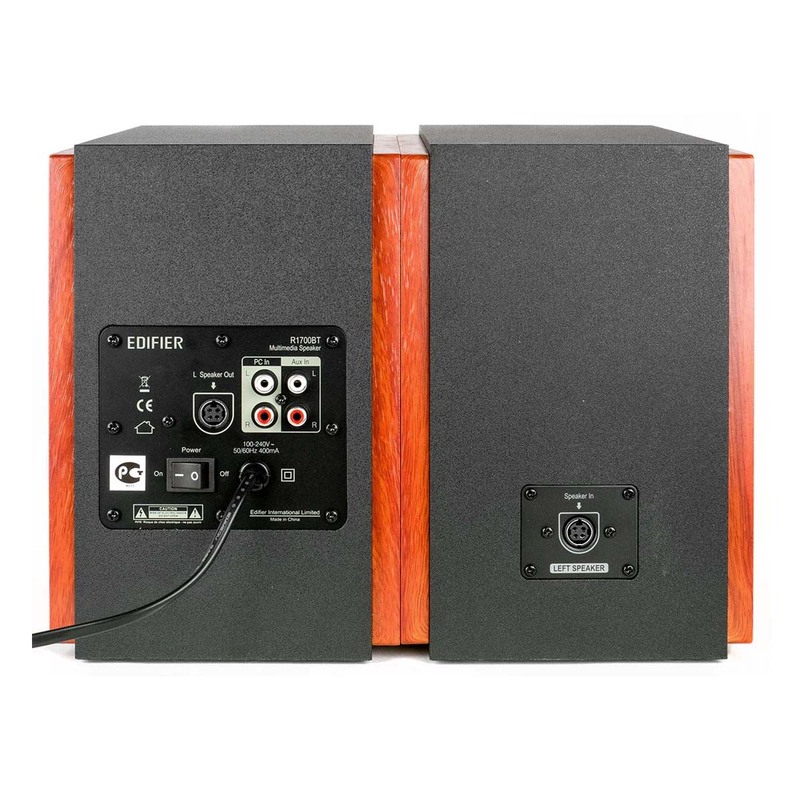 Does each speaker have a power plug? How many watts per channel? 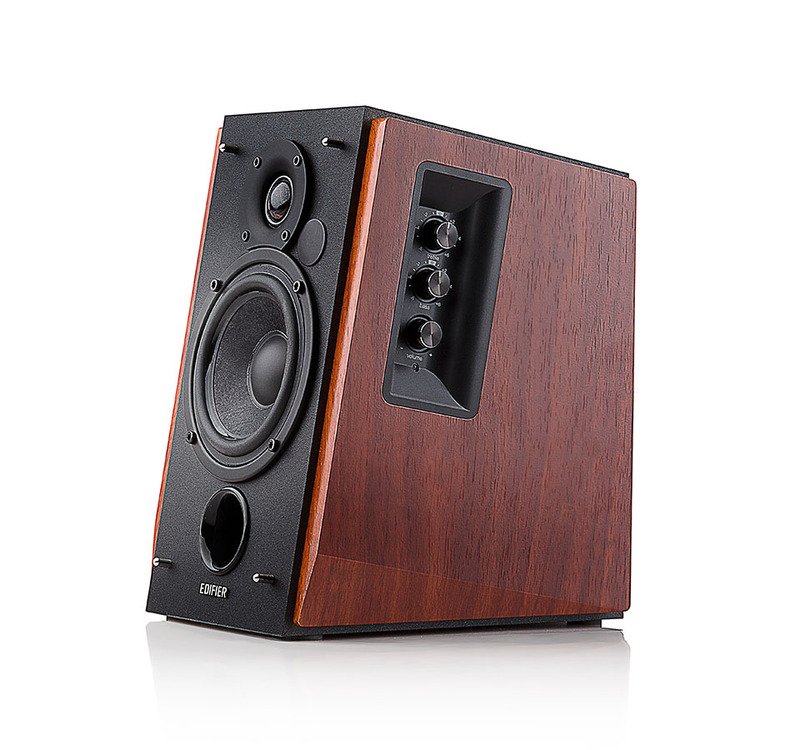 These speakers have a total of 33watts. The tweeter outputs 15watts. 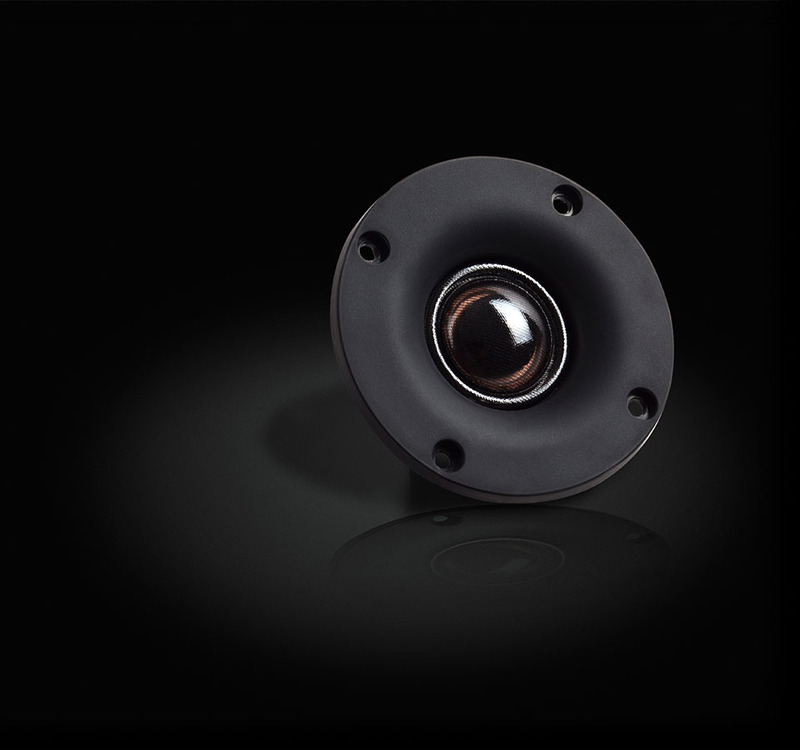 The mid-lowrange driver outputs a total of 18watts RMS power output. What is needed to connect a set of headphones to these? Does it come with the proper adaptor? 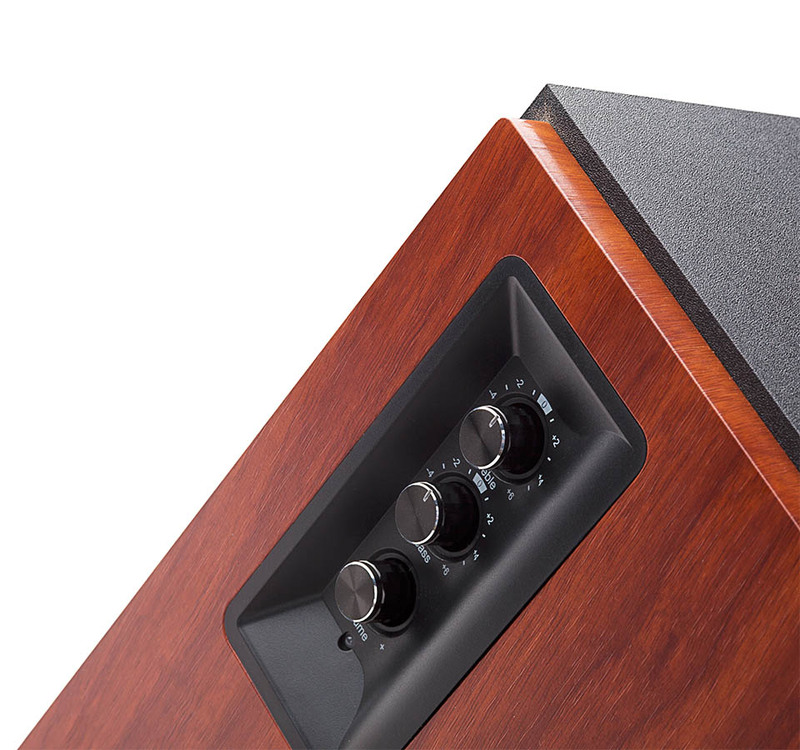 The R1700BT Speakers do not come with an input to plug your headphones in. You may be able to plug your headphones in through an RCA to female cable, however, this is not recommended and you should rather plug your headphones in at the source. How do the speakers attach to my receiver? My receiver has the old fashioned dual wire inputs. You do not need a receiver for these speakers. 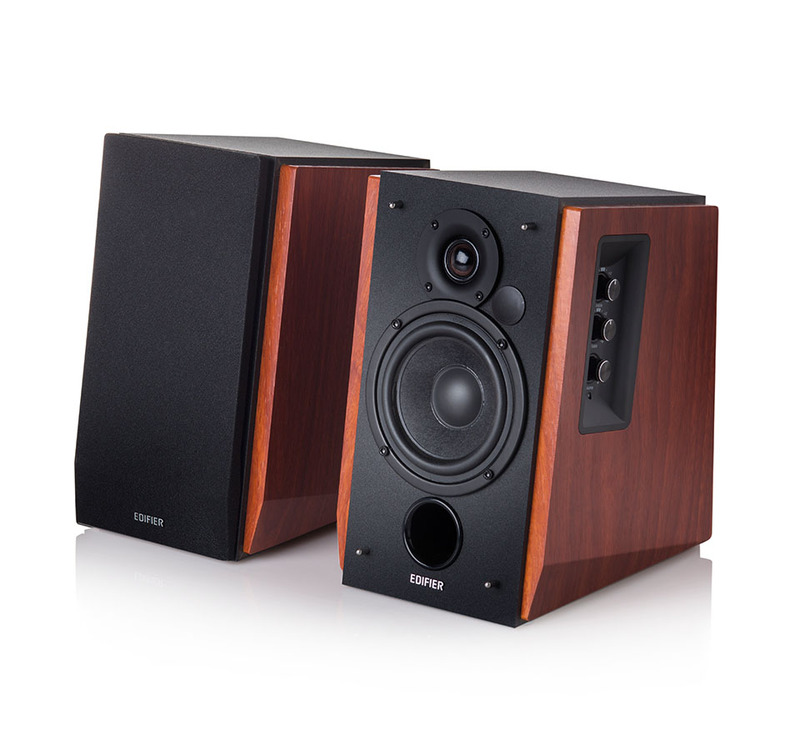 These are active speakers that has built-in amplifiers. 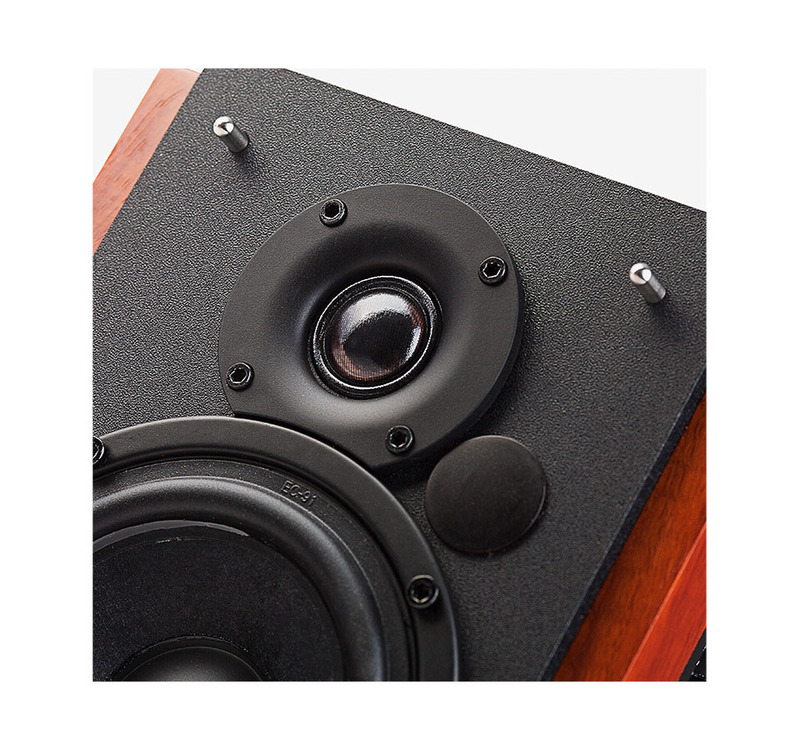 You can connect your audio source (TV, DVD player, computer, phone etc) to these speakers directly. Can I have my tv and turntable plugged in at the same time? Yes there are 2 sets of RCA inputs. You will need an extra piece of cable. 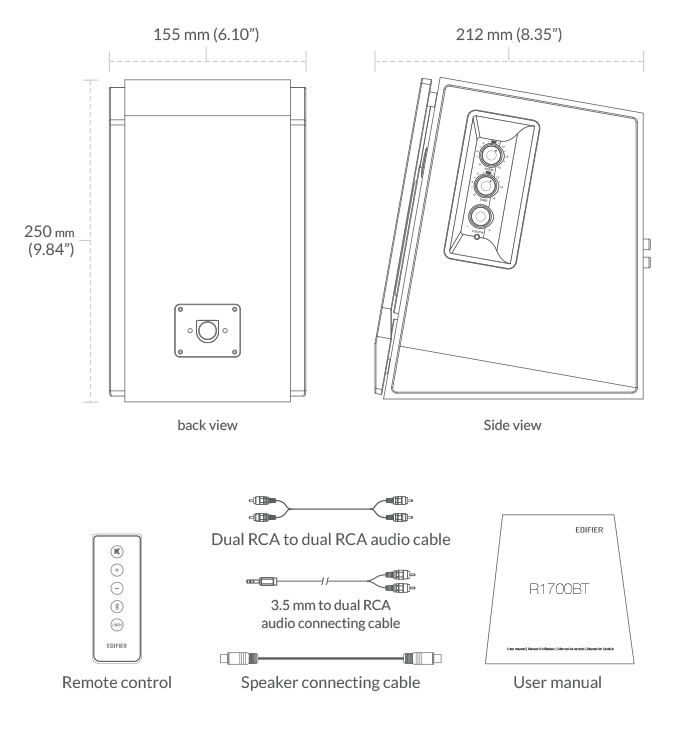 what is the dimensions of the speakers? I have strict height requirements to fit these into. Can i have the speakers stay plugged into my tv, and then use my phone or laptop to bluetooth audio to the speakers? 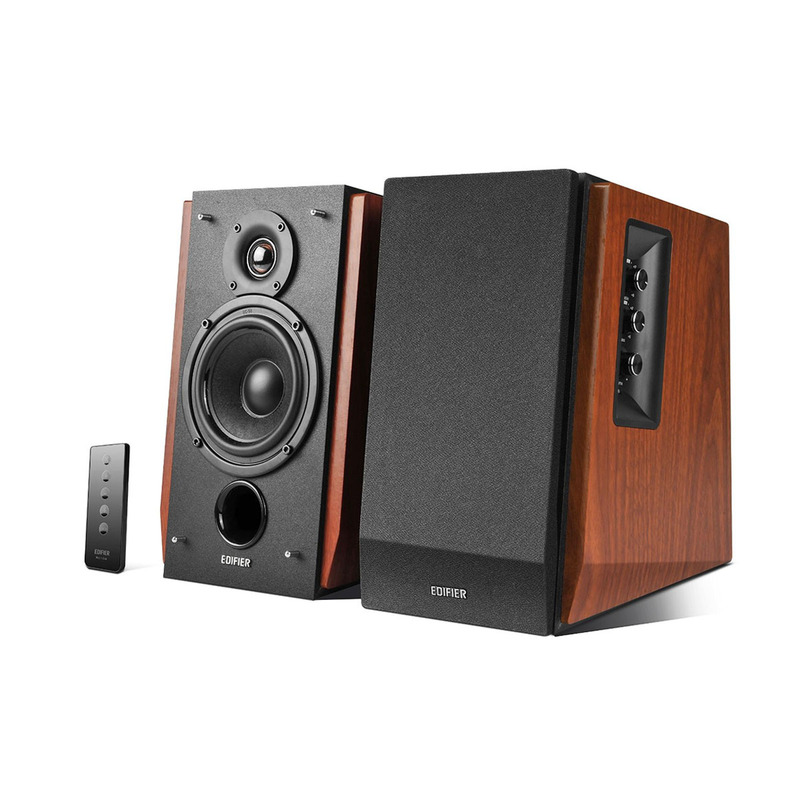 You can keep these speakers plugged into your TV and switch the input setting with the wireless remote. There is an LED light on the speakers so you know which input you are set to. are these good enough without a dedicated powered subwoofer? These are designed to work without subwoofers. The bass driver units on these are 4" each, more than sufficient for most purposes. How long is the connecting cable? The connecting cable included is 16-feet/5meters long.